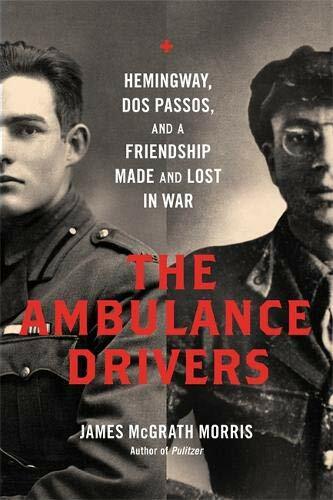 John Dos Passos and Ernest Hemingway initially crossed paths in 1918 as ambulance drivers in war torn Italy. The two literary icons would met again in the early 1920s in the American expatriate society of Paris where the allure of the city had seduced many writers, artists, and composers. By this time, Dos Passos was already an established author and highly respected, while Hemingway was still an up and comer on the brink of greatness. Throughout the 1920s and better part of the 1930s they were best of friends and honest critics of each other’s works. Although these two former Chicagoans had many things in common on the surface, they were complete opposites as far as philosophy and temperament. Hemingway was arrogant, certain of himself, willing to get ahead at the expense of others, and athletic. Dos Passos was well educated, timid, considerate to a fault, and not an athlete. By the mid-1930s, their relationship began to deteriorate. Hemingway became more obsessive about his writing and even more self-centered in his relationships. Dos Passos, who was busy with his own writing was inattentive to Hemingway. The latter’s egoistical selfishness to friends was worsened by his almost total lack of social awareness, his preoccupation with the horrors of war, and his own self-destructive psychoses. Tiny incidents accumulated to an intolerable level, at least in Hemingway’s mind, and he began to lash out at his baffled friend. The ultimate breaking point, however, came in 1937, during the Spanish Civil War. Hemingway and Dos Passos were in Spain, when José Robles a patriot in the leftist Popular Front and good friend of Dos Passos disappeared under mysterious circumstances. The Hemingway-Dos Passos relationship finally reached its endgame on April 22, 1937, when Hemingway, brimming with confidence and cruelty, told Dos Passos that Robles had been shot as a proven fascist collaborator, a renegade, a dirty spy, a betrayer of his friends. Dos Passos was left shocked and devastated. Their friendship never recovered. James McGrath Morris, the author of several critically acclaimed biographies, including the New York Times bestselling Eye on the Struggle and Pulitzer delves head first into the mercurial relationship of these two American literary legends in his new book, The Ambulance Drivers: Hemingway, Dos Passos, and a Friendship Made and Lost in War. Throughout this riveting biography Morris expertly narrates the journeys, relationships, and life-changing events that inspired two of the greatest authors of the 20th century. While Hemingway believed that literature should be a perfect representation of an imperfect world, Dos Passos wanted his writing to change the world. Both versions played a significant role in shaping what would become the voice of the Lost Generation. The Ambulance Drivers is a lively and engaging biography that takes a fresh look at the life of Dos Passos, but fails to shed any new light into Hemingway, whose life has already been well documented. Although readers may at first hesitate to embark on yet another analysis of Ernest Hemingway, Morris’ framing of the context of his fragile and contemptuous relationship with fellow literary giant John Dos Passos creates a worthwhile read. It will most certainly fascinate Dos Passos and Hemingway aficionados, as well as the casual literary biography enthusiast. Michael Thomas Barry is the author of seven nonfiction books that includes America’s Literary Legends: The Lives & Burial Places of 50 Great Writers.